Amazon Seller App – FREE app available for iPhone and for Android users (must have an Amazon Seller account for the app to work – we started with the free account then upgraded to Pro after we started selling items). There is no chance that I would attempt selling on Amazon without this app – especially if you are searching for products at stores to buy and re-sell. Use app to scan barcodes and instantly determine profitability of items. Also, use app to monitor inventory and sales numbers in real time. Amazon Seller App can even be used to scan items into inventory before you prepare shipments to send to Amazon (no need to purchase a separate barcode scanner). Shipping Scale – weighing boxes before you send them to Amazon is a MUST for an FBA Seller. 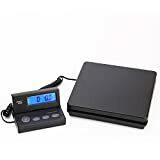 This affordable shipping scale runs on battery or can be plugged in with the AC Adapter and has a separate backlit display so that you can read the weight while your box is still on the scale. Really – any shipping scale will work just fine. I’ve even heard of people using bathroom scales. But this is one of the best options I could find on Amazon for a really good price. And the separate weight display is really nice, especially when weighing larger boxes. Removable Labels (1″x2-5/8″) – this particular size of labels is compatible with the label document that Amazon automatically produces for you, based on your inventory that needs labels. Simply insert the sheets of labels into your printer where you normally put your paper. FBA Sellers apply these labels to your products OVER the existing barcode on the product (use your existing printer – no need to buy a separate label printer). Scotty Peeler Label & Sticker Removers – if you are buying clearance items from stores, you will need to remove the clearance or any other pricing stickers before you send the items to Amazon. Sometimes the stickers peel off very easily – other times they do not. After doing a few batches of products by hand, we purchased this exact set of peeler’s and they have been insanely useful and helpful. Not a must-have item – but highly recommended for sure – especially if you plan to do hundreds of products per month like we are. Heat Gun – this is not a totally necessary item to have – but it sure makes peeling labels much easier in certain instances and on certain types of packaging. Simply turn on the heat gun (which is basically a very high-powered hair dryer) and point it at the label for just a few seconds then use your Scotty Peeler to remove the label. After heating up with this heat gun, labels peel off like butter. Be careful not to melt the product packaging though. This Porter-Cable model is the exact gun that we purchased. I like the dial that allows me to select and change temperatures. 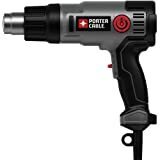 There are certainly many other heat gun options available and some are less expensive. Grandma’s Secret Goo Remover – this is another item that isn’t totally necessary, but that we’ve found to be very helpful in some instances. Again, thinking from a buyer’s perspective, would you want to receive products ordered from Amazon that were obviously purchased on clearance somewhere and had signs of labels being peeled off? After peeling labels off there is sometimes goo left behind on the packaging and this stuff works wonders to get it off. Self-Seal Poly Bags with Suffocation Warning (4 sizes) – Amazon requires that some or certain items be placed in poly bags (with suffocation warnings) before shipping to customers. Don’t worry – Amazon tells you exactly which items during the shipment preparation process. Very few of the types of items that we ship in require these – but it’s good to have an assortment of sizes on hand for when we do need them. This is the exact assortment of bags that we purchased and use. Tape Gun & Packing Tape – these can be picked up very inexpensively at many local stores near you. Very basic tape gun and packing tape. You’ll end up going through a lot of tape – so buy in bulk to save money. We are currently using Duck brand. Scotch brand also makes a quality product. I would stay away from cheap off brand tape that you might typically find at dollar stores. It tends to not stick as well and you don’t want your boxes opening up while en route to Amazon’s warehouses. Shipping Boxes – depending on the size of the items you purchase to send in to Amazon, you will likely need an assortment of different sized boxes. We’ve found that small, medium and large moving boxes are suitable for most shipments. We use mostly medium and large. We actually found the best deal on moving boxes at our local Lowe’s home improvement store. I know not everybody has access to a Lowe’s – so I’m including an Amazon link here to a pretty good deal on moving boxes available in various sizes. Note: Most of the items listed above are affiliate links that lead to Amazon. If you purchase via these links, I will receive a small commission. Most of these items can be purchased at competitive prices from a local store near your hometown.